Winner of the 2019 Rising Writer Contest Announced! Congratulations to poet Eric Tran! Autumn House is pleased to announce that Stacey Waite selected The Gutter Spread Guide to Prayer by Eric Tran as the winner of this year’s Rising Writer Prize! 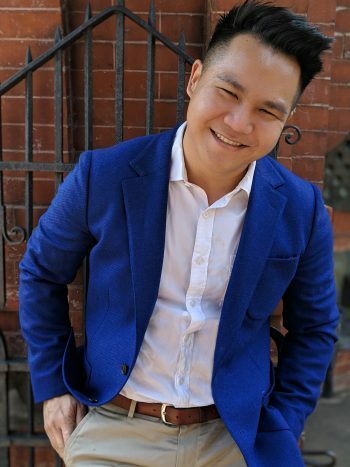 Eric Tran is from the San Francisco Bay Area and currently lives in Asheville, North Carolina. He received his MFA from the University of North Carolina Wilmington. He is the author of the chapbooks Revisions (Sibling Rivalry Press, 2018) and Affairs with Men in Suits (Backbone Press, 2014). He is a resident physician in psychiatry at the Mountain Area Health Education Center. He graduated from the University of North Carolina Chapel Hill School of Medicine. His career interests include substance use treatment, community mental health, and LGBTQ mental health.